Color: Chocolate Brown "Men" Chocolate Brown "Women" Army Green "Men" Army Green "Women"
These products are not on Sale. Please contact the designer via email for available discounts. rjplmt@gmail.com NEW APPAREL by Rich Padilla printed by InfiniTees "TM" Rich is proud to introduce one of his creations "Peace". Peace is available to everyone who seeks it. 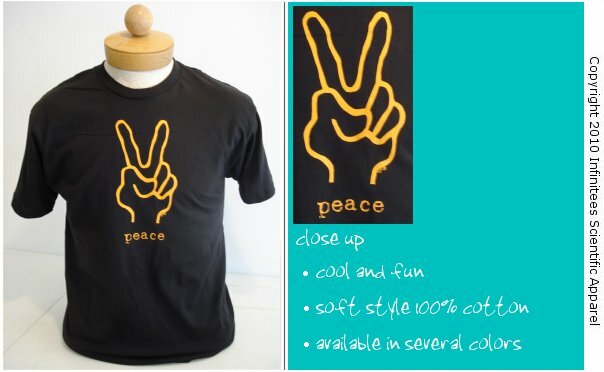 :-) The T-shirt is available in womens tees and mens tees, and printed on super soft combed cotton 4.5 oz.